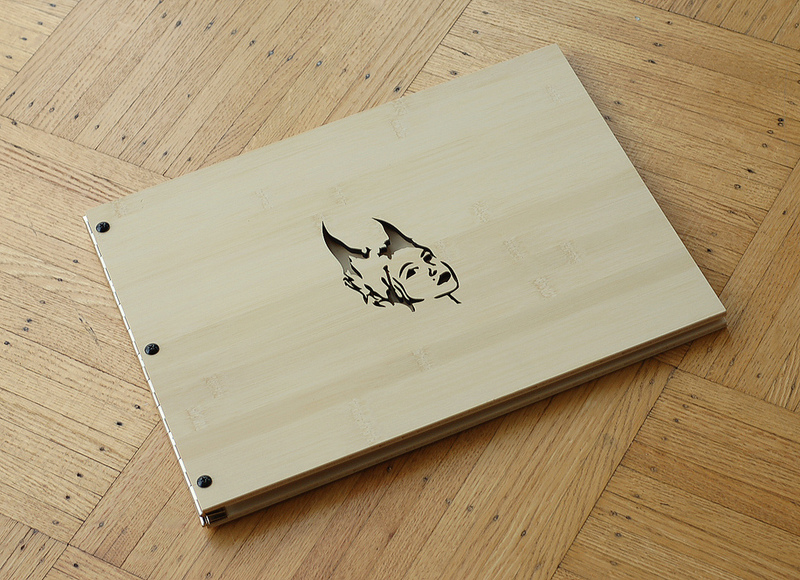 Freshly cut is this 11 x 14, bamboo portfolio book with a custom logo cut-out on the cover. 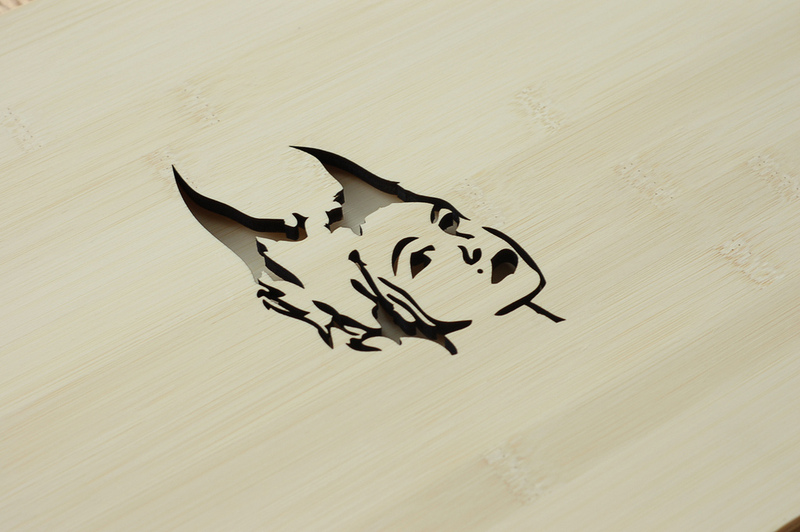 I love the look bamboo when it’s cut because it creates “burnt” edges that make the logo pop even more. 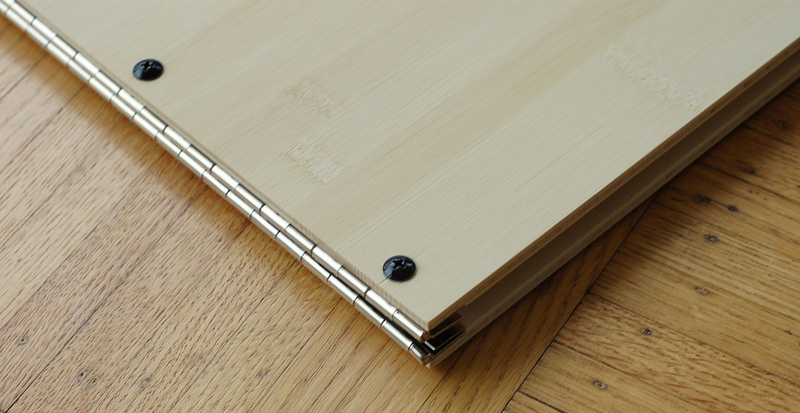 This custom screwpost portfolio is complete with steel plated black screwposts although silver screwposts are also available. If you’d like be a cut above the rest (ha ha, I had to!) and own a unique custom portfolio book of your own, visit Klo Portfolios or drop us a line at info[at]kloportfolios.com. You can see more examples on the Klo Portfolios flickr page.